Whether you are looking for a meal or just a snack, the Creation Museum has several dining options to satisfy your hunger. Enjoy lunch at Noah’s Café or Palm Café, or satisfy your sweet tooth with some of Uncle Leroy’s fudge! Noah's Café is the perfect stopping place for guests. Located right off the main lobby as you enter the museum, the café features fresh salads, burgers, and sandwiches. We offer meals including fries (or substitute our house salad) and fountain drinks for your convenience. The café also has a wide range of snacks, including cookies, candy, and a full line of Pepsi products. When dining out, we understand how difficult choices can be when trying to avoid certain ingredients, whether it is due to food intolerances, food allergies, or personal choice. A variety of gluten-free and vegetarian options are available. Noah’s Café and Noah’s Coffee opens with the Creation Museum. Visit Museum Hours. 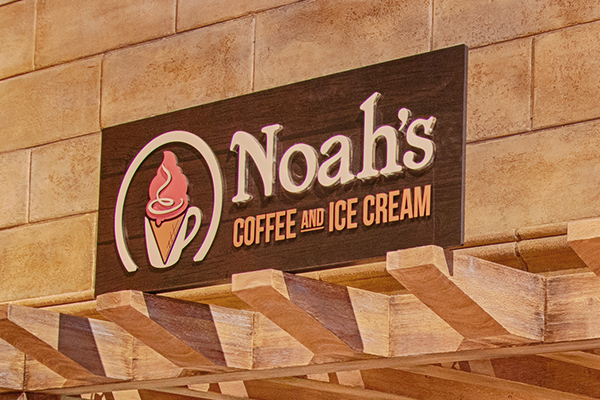 Noah’s Coffee features cappuccinos, hot teas, espresso, iced coffee, and smoothie treats. It is located in the Main Hall on the upper level of the museum as you begin your tour. 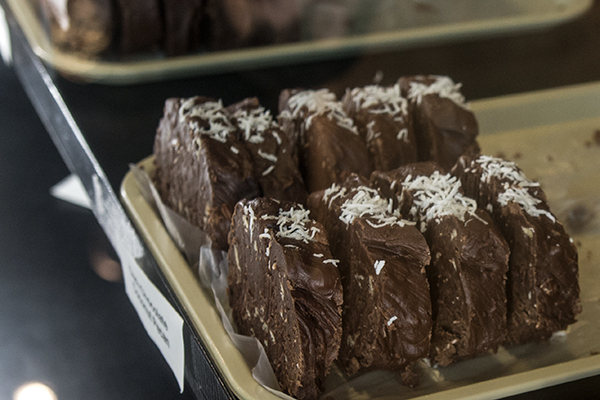 Bring home some tasty fudge on your next visit to the Creation Museum. Uncle Leroy’s fudge is prepared in a traditional copper kettle and poured onto a marble slab where our artisans hand work it into loaves. The loaves are cut into savory slices, each weighing approximately 1/2 lb. Uncle Leroy’s famous thin, snappy, brittle candy is also available—the epitome of buttery, sweet, salty, and crunchy goodness. Uncle Leroy’s is located at the entrance to the Main Hall on the upper level of the museum. During peak seasons we open up a second venue on the lower level to feed all of our hungry guests. You can enjoy our delicious cheese and pepperoni pizzas, grilled sandwiches, soups, breadsticks, and soft pretzels. Snacks and drinks are also available. Palm Café serves guests beginning at 11 a.m. (noon on Sundays) through 3 p.m.